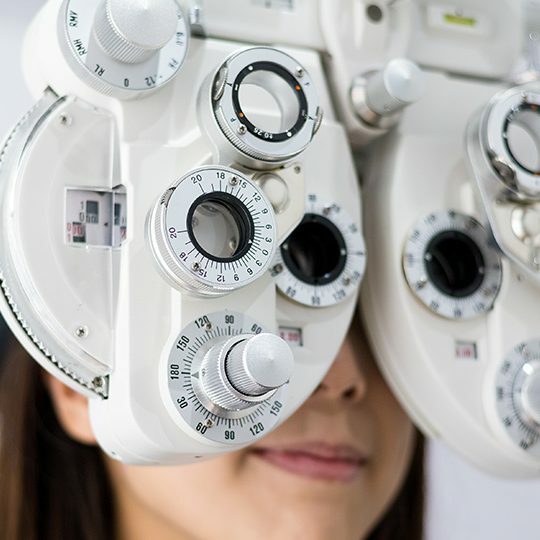 Some eye conditions require an urgent examination and treatment. Most patients with an eye emergency will be seen the same day, and all patients will be seen within 24 hours. An emergency exam consists of the same components as a comprehensive exam, with careful attention to the areas of concern. Treatment will be discussed with the patient and close follow up arranged depending on the severity of the condition. These are some of the most important problems that should be addressed immediately. Many things can cause red eyes, including allergies, infections, broken blood vessels, glaucoma, and inflammation of the eye. New onset of red eyes, especially when associated with pain should be seen quickly to initiate the proper treatment and avoid more serious complications. Eye pain can vary from mild irritation to severe pain and may be the first sign of a vision threatening condition. The gel that fills the eye, called vitreous, can detach from its normal attachment to the retina. When this happens patients may experience bright flashes of light in the eye or dark spots in the vision, commonly referred to as floaters. Often times these changes are not serious, but sometimes these flashes and floaters can be the first signs of a retinal detachment, which is a vision threatening condition requiring surgery. Sudden changes in vision can represent a serious problem in the eye, or a serious medical condition. Any sudden change in vision should be seen as soon as possible. New onset of double vision is concerning because it may be the first sign of a serious medical condition such as diabetes, hypertension, or stroke. New double vision should be seen as soon as possible. The tissues of the eye are very delicate structures and are easily damaged by trauma. Any trauma to the eye should be seen as soon as possible, especially if there are changes in vision or eye pain. Foreign bodies in the eye not only can cause pain and irritation, but may lead to infection and loss of vision. If there is suspicion of a foreign body in the eye, early removal is important. Pain, redness, irritation or decreased vision in a contact lens wearing patient should be evaluated in a timely fashion as contact lens use increases the risk of vision threatening eye infections. Contact lenses should be removed immediately and their use not resumed until seen by an eye doctor.